Fights the states of depression related to seasonal affective disorder (SAD): some people who feel relatively normal and active in summer may become depressed and lethargic in the winter when sunlight is weaker and less abundant. People who suffer from this problem could be associated with the presence of low levels of melatonin According to some studies, it is thought that these individuals suffering from SAD (seasonal affective disorder) can improve the state of providing its own in the afternoon of a limited number of doses (0.1 mg) of melatonin supplement. 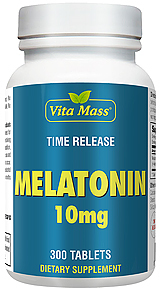 Study participants who reported no improvements are those who have taken only a total dose in the morning or that they have absolutely given melatonin. In this area, however, requires further studies. NO Milk, egg. fish, crustacean shellfish, tree nuts, peanuts, yeast, artifical colors, flavors and preservatives. 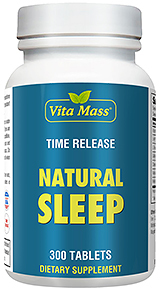 Recommended Usage: For adults, take one (1) tablet 20 minutes before bedtime.